The team for CHOICE Cambodia England and Wales (9 trustees) is made up of Australian, British, Dutch, German, American, Irish and Cambodians. 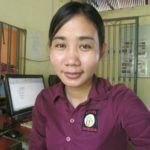 The CHOICE Cambodia NGO has 8 Committee members, 5 Khmer and 3 foreigners. 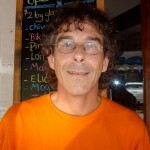 Retired cinematographer hailing from New York, and currently residing in Phnom Penh. 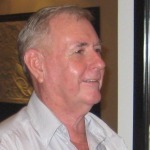 Rudi is the Chairman of CHOICE England and a Committee member of the NGO. 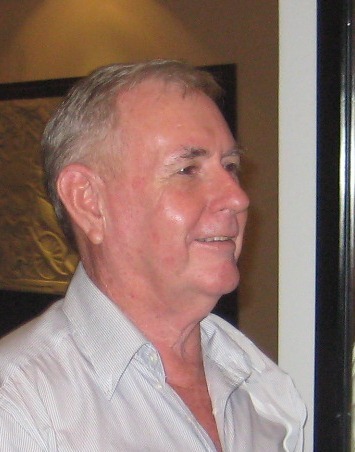 Ross is a retired Technician from Geelong Australia and has lived in Phnom Penh for a long time. 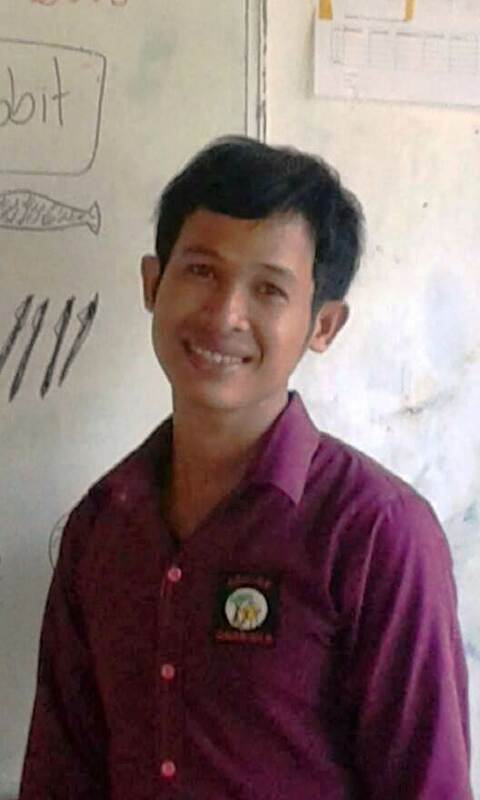 He is the remaining founder of CHOICE Cambodia. He is Secretary of CHOICE England and a Committee member of the NGO. 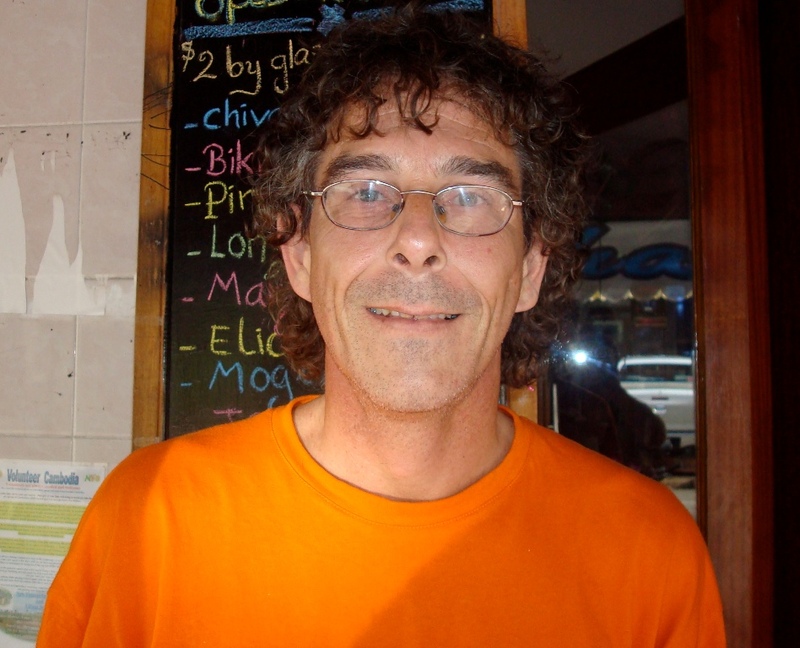 Mark has worked in Holland as a cook and now he only spends a couple of months a year there working as a clown, juggler, balloon twister and performs some magic. For the rest of the year he enjoys the weather and the people in Cambodia and occasionally entertains the children at the Village with his skills. 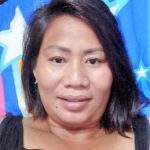 A popular Cambodian radio host and DJ, Angela is a valuable member of CHOICE and her local knowledge and insight are imperative in delivering the right services to the needy. Angela was the Founder of our Villages. She is Public Relations Officer of the English Branch and President of the NGO. 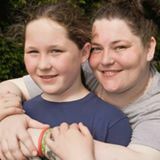 Suzi is from Belfast in Northern Ireland and is a bank Mandate for CHOICE. Suzi is always looking to help us and visits on a regular basis with her daughter Ellen Rose. 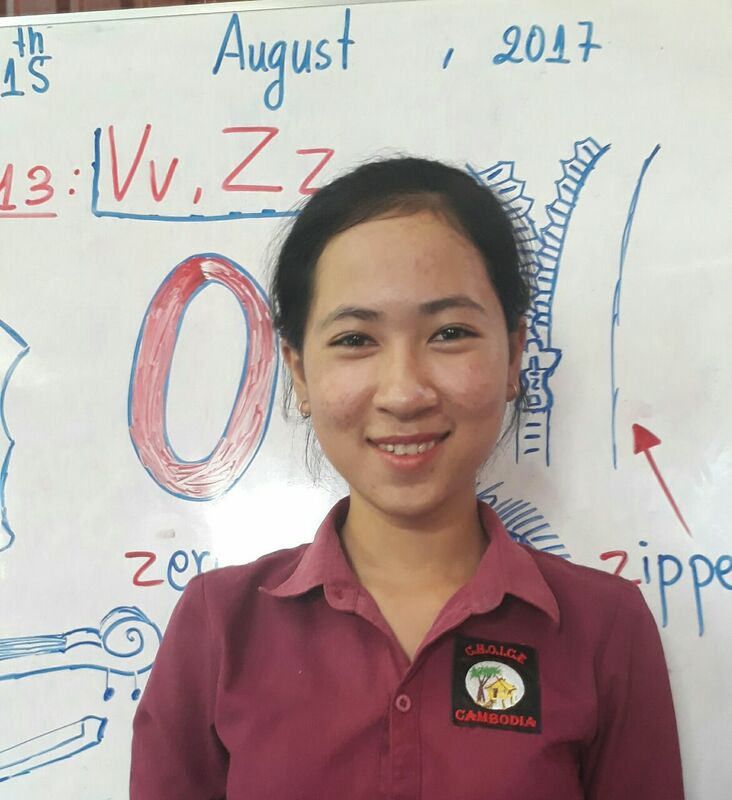 They both love Cambodia and the children at the CHOICE School and the children really love Ellen Rose. 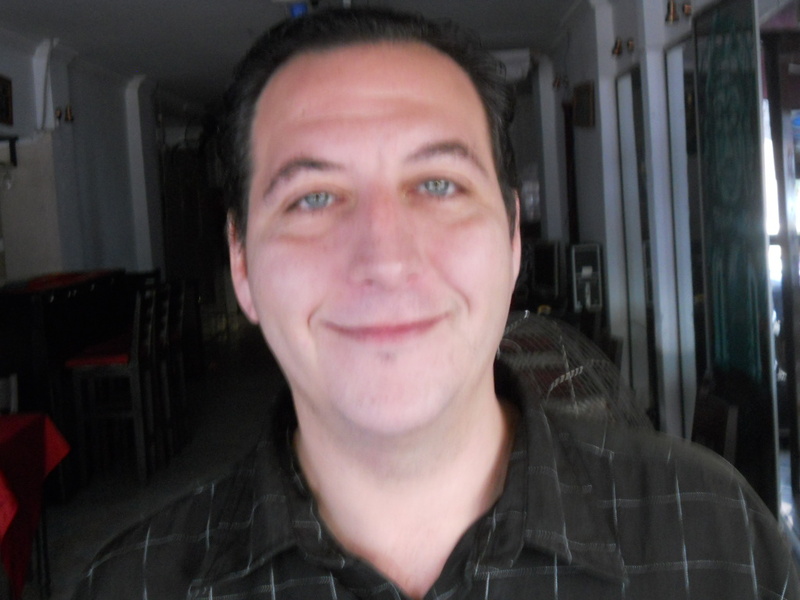 Richard is from the UK and has lived in Cambodia since 2007. He has worked in the advertising and marketing industry, including a year and a half as a travel journalist and photographer. 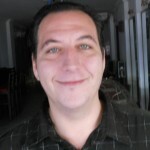 Arne is an entrepreneur from Hamburg in Germany running his own Internet company. He visited us in 2010 and supports us since then. 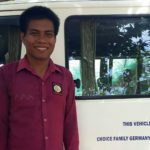 Arne is a founder of a non-profit-association called CHOICE CAMBODIA GERMANY in 2012 together with Michael Wieland from Munich, for raising money and supporting our village center. 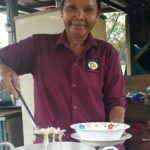 They have the idea of going from sponsorship to entrepreneurship encouraging German entrepreneurs using Cambodia Labour but for fair prices and setting up a sustainable existence for the Cambodian kids in the Village Centers. Michael is a financial consultant from Munich, Germany. He visited us for the first time in August 2011 and was so impressed by what we do that he immediately decided to support us significantly. 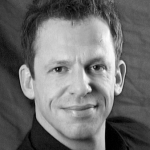 He is very close with Arne from Hamburg and founded a non-profit- sister organisation called Choice Family Germany.” Michael is a Committee member of both the English branch and the NGO. Vanny is our CHOICE Center Manager and Treasurer of CHOICE Cambodia England. She has a degree in teaching and finance and is extremely capable. 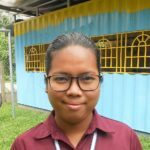 She is also Treasurer in the NGO Branch. Eng lives locally and is very keen to help in any way she can. 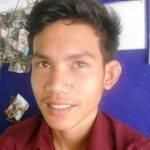 Eng is a member of the CHOICE Cambodia NGO. 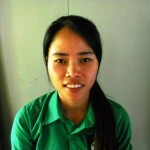 Kasna is from Siem Reap, she has completed a Bachelor degree in accounting and finance. Kasna is a great help for CHOICE with book keeping and annual returns. 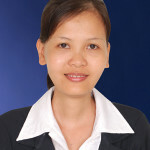 She is a Committee member of the NGO. 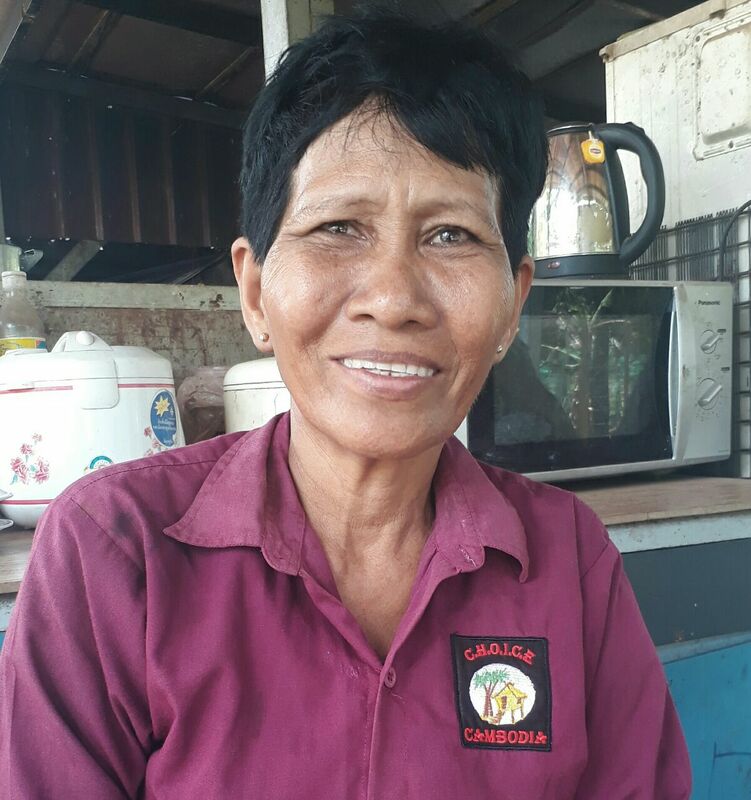 The only paid workers for CHOICE are the 15 Khmer Staff, and as many as possible are selected from within the poor Villages we help. Vanny is from Takeo. 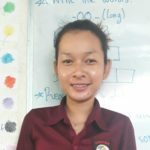 Vanny is a qualified Teacher and Accountant and she was a much loved teacher with the children of CHOICE. 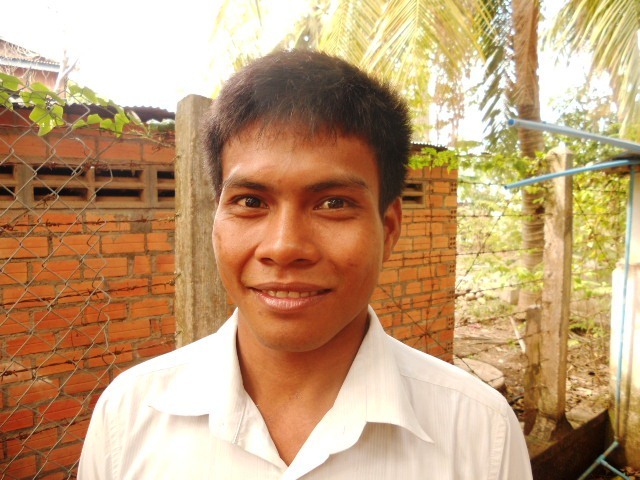 Vanny is now the Manager/Principle of CHOICE Cambodia School. She is dedicated to helping the poor and loves the children. 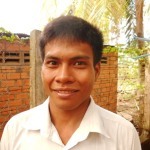 Vanny is a Committee member of the NGO. 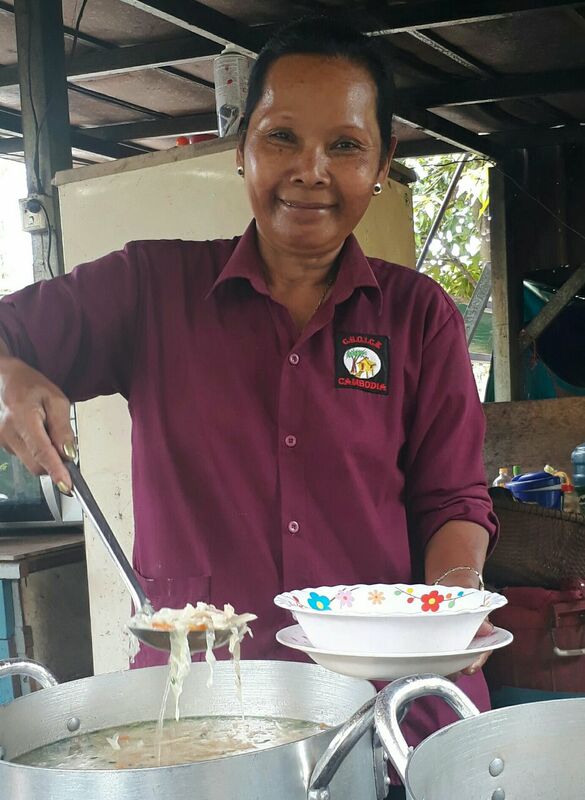 Sichan is our head cook, she creates the children’s cooked lunches and buys the ingredients from the local market. She also washes the dishes and also helps in our vegetable garden. 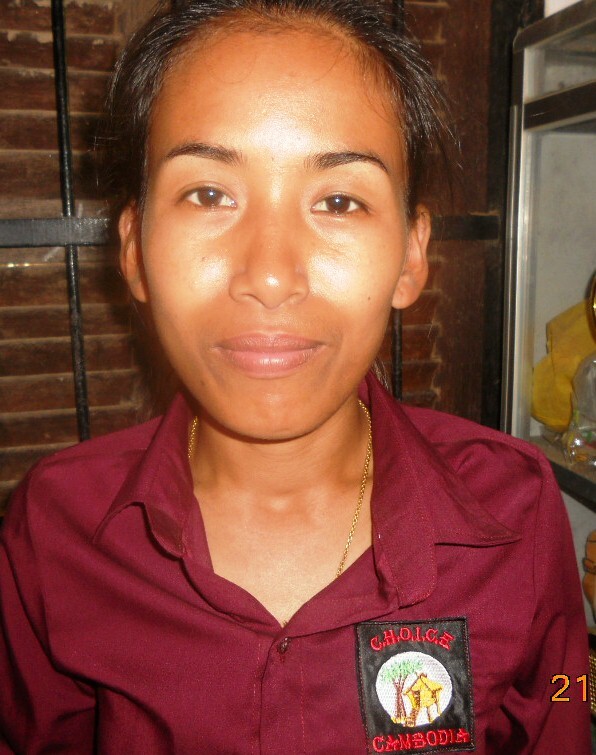 Kim is our assistant cook and cleaner, she is from the Village and helps with everything, a very good worker. Sok Heng is our minibus driver and a good worker and handyman. He had no home so we arranged for living accommodation at the center. He helps by maintaining the vehicles and other odd jobs between driving. 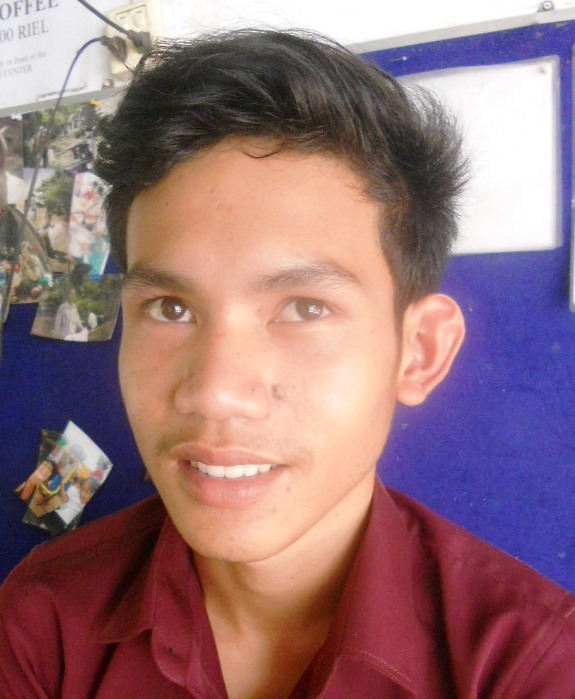 Soly has completed his bachelor degree in Phnom Penh and is an experienced teacher. He teaches English at out center and lives nearby the CHOICE Center. 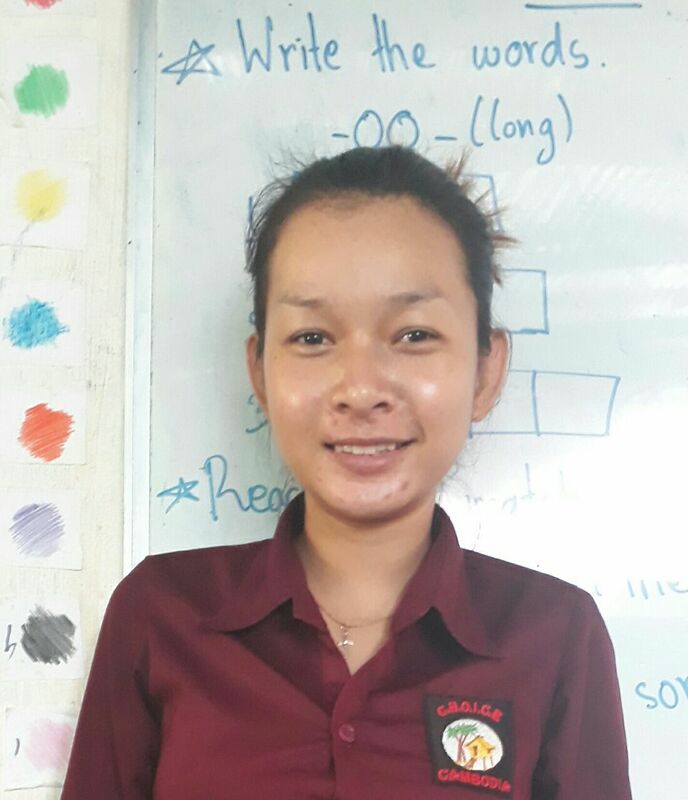 Kim is studying English Literature in University at weekends, during the week she is one of our English teachers at the CHOICE Center. 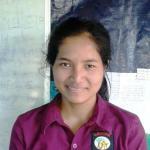 Kim comes from the poor Village we help in Kandal Province. 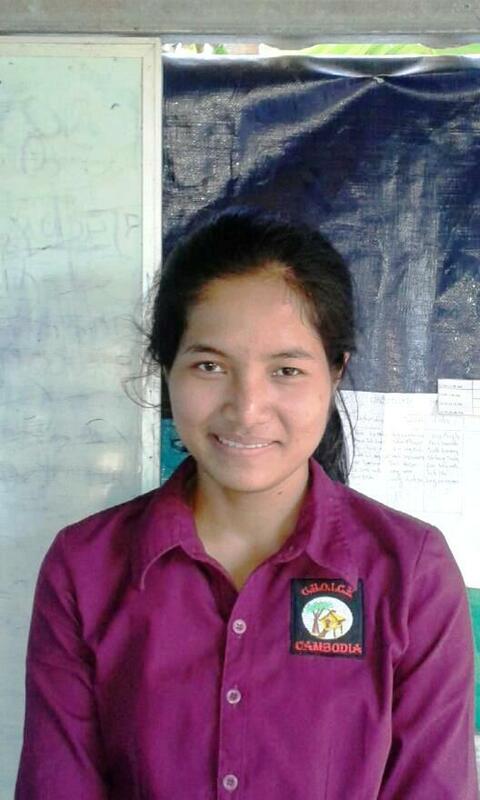 Sok Heng is from the first Village, she was one the brightest students at the CHOICE Center. 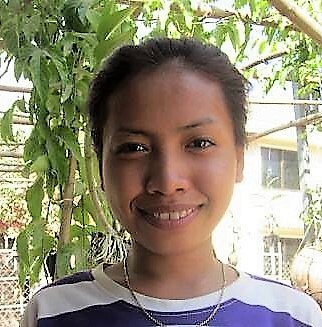 After she finished her high school, Choice has been paying for her university fees for four years. 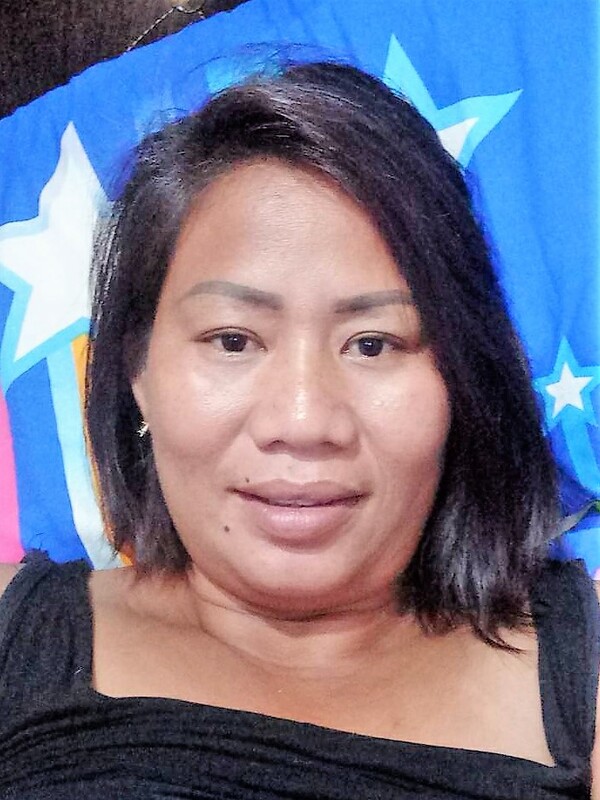 She is a full time grade 1 teacher during the week and studies at the weekends. Srey Tea was a student with us in the sewing class, we decided to keep her on as she is such a hard worker. She keeps the yard tidy and runs the canteen shop. 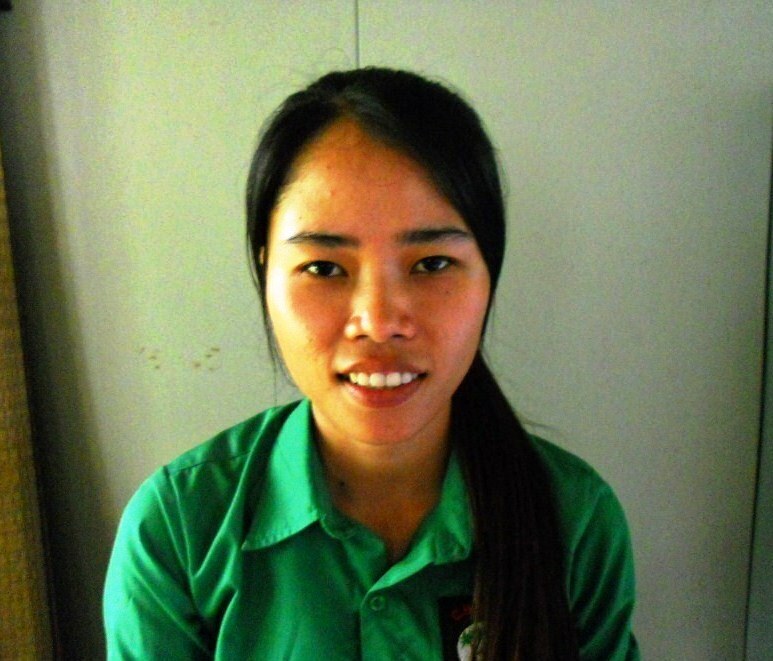 She is one of our six Staff from the squatter Villages and now married to Sopheak. 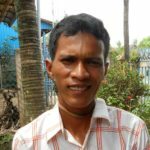 He is married to Srey Tea, they are living at the new School in “The Gatehouse” between the Western area and Training area. His job is Security guard to ensure only those with permission can pass through the locked gate. 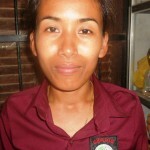 Lida is a highly skilled seamstress, she joined our sewing team as the trainee manager. Lida had many years of experience in the garment industry previously. 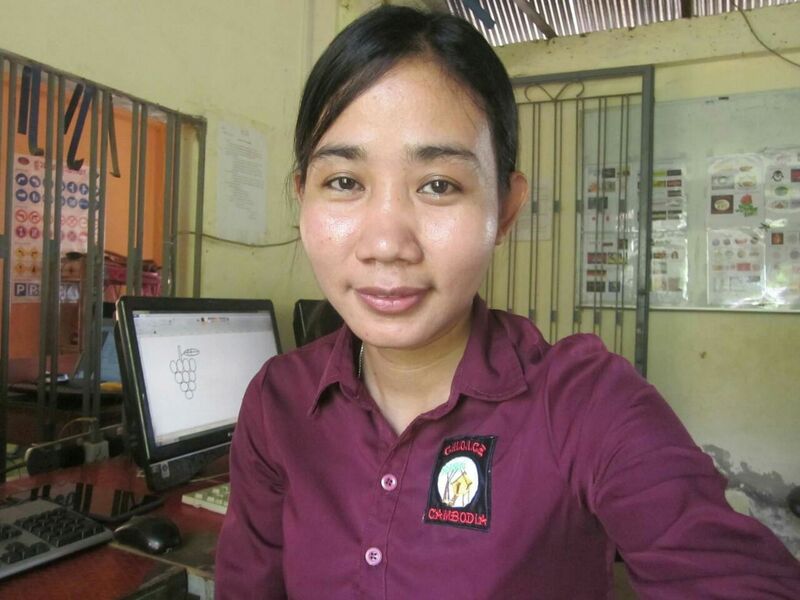 Now Lida is attending a computer course to learn computer skills and take charge of the Computer class. Lida is also a Committee member of the NGO. Lao Heng was a good student at our CHOICE center, eager to work so we trained him and employed him as a driver. He is a quick learner so now he drives our truck for student transport and water delivery. He is from the middle poor village. Kunthea speaks a little English she is one of our Kindergarten Teachers. She loves the little ones and lives in the area so she knows the children’s families, the little one’s can be very demanding. Phearath is a local teacher and she lives close to the Choice School. 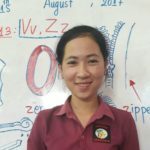 She is our phonics teacher. 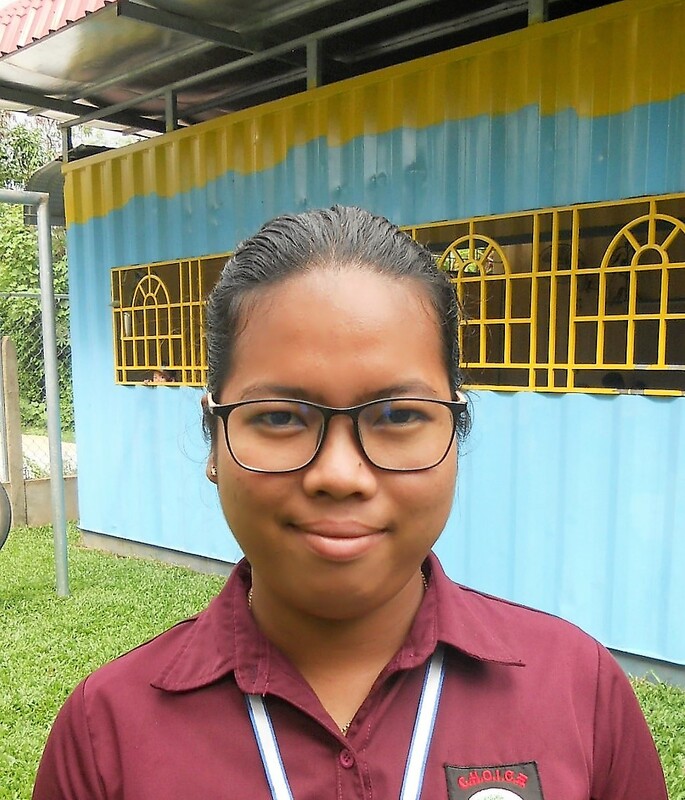 Sreymo has proven to be a very good Kindergarten teacher and is working with Kunthea. Having a morning class plus an afternoon class with an average of 65 children we need at least 2 kinder teachers.